A teacher in our children’s ministry texted me a question about this after showing the kids in her class the “bridge illustration.” You know the one: Imagine a valley. The person is at the top on one side and God is at the top of the other side. Between them is Sin Valley. Then we draw a cross that forms a bridge over the valley signifying that Jesus died on the cross to fix the sin that separated us from God. Great illustration. I’ve used it a ton of times. But the teacher was conflicted – the illustration seems to “indicate that God can’t be around sin,” she said. I love it when teachers analyze and ask! 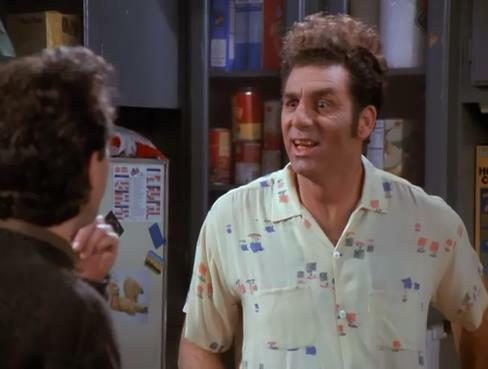 take a Kramer-type approach to God: “God you are too pure. Look away…I’m hideous” (Habakkuk 1:13). Yep, God is certainly different than me. When someone hurts me I’m all about hurting back! But not God. He is “holy,” different than man. He acts in mercy, not revenge. Crazy, out of this world behavior! It’s certainly not human. It’s God-behavior. He is different. He is holy. Matthew 5:48, “Be perfect, therefore, as your heavenly Father is perfect.” Maybe God’s holiness makes him more approachable, not less. That’s what we see in Jesus. 2. How Jesus lived his life is the second thing to consider. And it’s a big thing. Jesus lived his life in such a way that he was accused by the religious group as being a “friend of sinners” (Matthew 11:16-19; Mark 2:16; Luke 15:1-2). Jesus knew sinners, went to their houses, talked with them over wine. He knew their names, probably knew their kid’s names, knew their hopes, dreams, fears. He knew their interests – you know, like a friend. So that’s how Jesus lived his life. Now, who is Jesus? Jesus is the picture of God (Colossians 1:15; John 1:18; John 14:9). In fact, the writer of Hebrews says that Jesus reveals God more clearly, precisely, accurately, than anyone or anything (Hebrews 1:1-3). If you link to the Hebrews passage you’ll notice the heading written by the Biblegateway folks: “God’s Final Word: His Son.” They’re right. Any view of God not based on the person of Jesus is an inadequate view. Jesus was a friend of sinners. Jesus is God. So God is a friend of sinners. God loves sinners and wants to be with sinners. What God does not tolerate is sin. Sin hurts us and God doesn’t like anything that hurts us. Jesus deals with us and our sin not by isolating Himself from us (as did the Pharisees) but by getting involved with us (Luke 5:27-31). He is with us and by being with us He is able to transform us with His love and grace. So, what’s the answer to the teacher’s question? What’s Jesus’ answer?